How Can You BEST Conceal Your Thinning Hair! Thinning hair or balding is a problem experienced by many women. 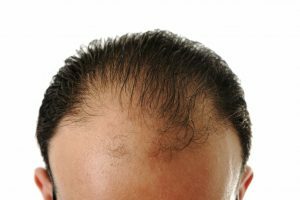 Hair thinning can happen for a huge array of different reasons, but age seems to be the biggest cause. As you age, so does your skin. And as this happens the scalp just ages and starts producing less hairs; the hair strands also become thinner eventually. However, if you are still young and experiencing advanced hair loss then it could be because of some of your own bad habits. Here are a few clever ways to cover up your thinning hair. You can give off the impression that you have full, thick head of hair, but cutting off a few inches and putting on some layers. There are a lot of different hair styles you can choose from and shorter hair has a tendency to generate more volume naturally seeing as it is not being weighted down by long strands of hair! Cutting strategic layers also adds volume to thinning hair. You can ask your hair stylist to incorporate layers around your face leaving more volume in the back to give that look of a thick head of hair without actually having one! With patience, the right stylist, and the correct approach, you can maintain your thinning hair for a while! You can achieve volume in your hair by blowing it out after washing it. The good news is that you can easily do this with a round brush. The damp hair is blow dried using a boar bristle brush by pulling up the section and blasting hot air in the opposite direction in which the hair falls naturally. Follow this by a blast of cool air and your hair should look like more than it actually is! Be careful applying heat to your hair though, if its already thin you could just be damaging those hairs more and more. When hair ages it tends to becomes grey and grey hairs expand the cuticle, meaning you’re going to be getting a little more of that volume back. You can also get any of the different volume aiding haircuts offered at your local hair shop with your grey hair for even more volume! If grey hair just isn’t your thing, you can set up preferably monthly visits with your stylist to touch up the roots and get highlights as needed to keep your hair looking thick, full, and healthy. Wigs, hair toppers, and hair extensions are equally effective ways to cover up thinning hair while instantly adding volume and length. We understand, after having a full head of hair for most of your life the proposition of having to use some kind of fake hair device can be scary. But, it’s something that a lot of people have to face every day, some even from very young ages. If your hair is thinning at the top of your scalp then hair toppers can do a lot for you, as they have been made specifically to hide partial hair loss. They are great for anyone suffering bald spots because of alopecia, which you truly can’t help. For a full hairstyle, you can combine hair extensions with a hair topper and you’ll be good to go. You have to work differently with different amounts of hair to add a volume and drama. Your stylist will know how best to integrate them into your thinning hair for a seamless and beautiful blend that leaves you feeling confident and looking good! 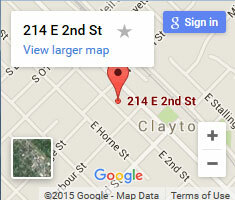 Your local Clayton Hair Stylist should be more than capable of helping you face your hair issues! Volumizing shampoo works to fight limp hair by puffing it up to hide thinning effectively. It works best when used before blowing out your hair for a better effect. Using a volumizing mousse in the hair before you blow dry it also gives you more volume and hides thinning hair. Products with hair building fibers can help to hide thinning hair, bald spots and scalp lines to give off more volume and transform your hair. You can use these products for any hairstyle. It just takes research and time to find out what works best for you, everyone is different and not all balding or hair loss in made the same! For a hair stylist in Clayton that can help with your thinning hair, contact Clayton Hair Salon at 919-795-6742.